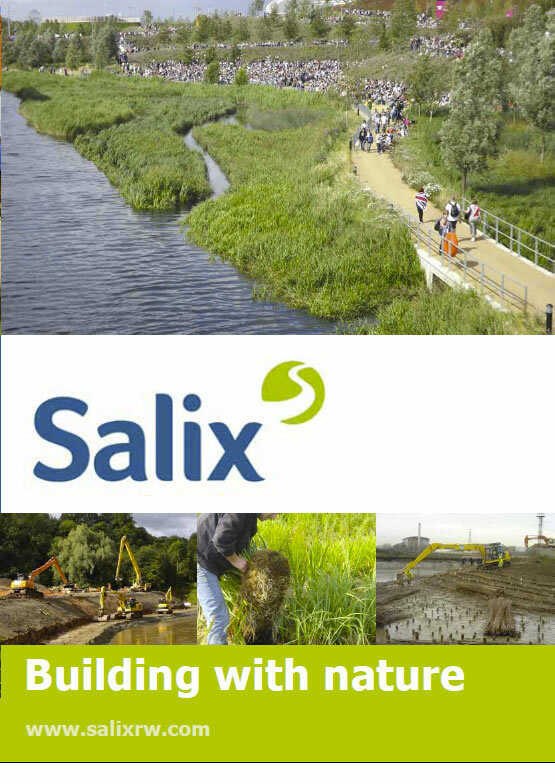 Due to the success of our green drainage channel solution on the A11 Salix were once again employed by Balfour Beatty to implement the SuDS on the Norwich Northern Distributor Road (NDR). This large roadside project involved creating 28km of green engineered roadside swales on 14km of dual carriageway. Six weeks after treatment we had significant plant growth on Type-1 aggregate. Zero soil. No imported topsoil or subsoil. Simply Type 1 fill material. The subsoils on the roadside had a high proportion of silt and clay. The compacted aggregate had low porosity, zero soil and extremely difficult conditions for vegetation establishment. The TerrAffix biochar serves several functions including encouraging healthy plant growth, carbon sequestration and reducing the mobilisation of pollutants into the vegetation, preventing them from entering wider watercourses. We treated 88,000m² of swales with this high performing solution and within six weeks had vegetation establishing. The water quality benefits of grass lined swale channels compared to all concrete lined channels is obvious in this CIRIA chart showing the control of pollution from highway drainage discharges. Plant growth in these road side swales will trap a variety of salts, metals and other pollutants harmful to our rivers and streams. Our HydraCX mixed with TerrAffix-Swale created a high surface area, water retentive layer. This mix was specifically tailored to the ground conditions together with the correct seed species. The mix also contained slow release nutrients, which resulted in rapid establishment of grasses. We have treated to-date 88,000m² of swales. On completion we will have locked in ~2T of fixed carbon and treated 120,000m². *Based on 120,000m2 of treated area.